Rodney Smith is a passionate leader with integrity and a strong work ethic utilizing a superior skill set made up of over 26 years of experience in the non-profit industry.Rodney joined the financial planning industry and works with with donors, corporate giving, family foundations, and charitable divisions and helping clients leave a legacy, protect their estate, and enlighten clients regarding their asset protection and charitable giving options. As a former 3-year starter for one of the premier college football programs in the country, the Nebraska Cornhuskers, under legendary coach Tom Osborne, and his short stint with the NFL under coaches Mike Shannahan and Marty Schottenheimer, Rodney has learned the discipline, dedication and structure necessary to succeed. 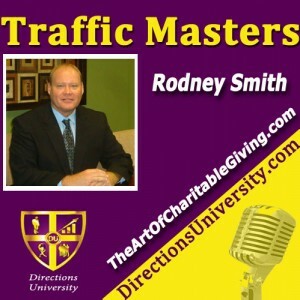 His leadership in the non-profit industry has allowed two of the organizations he founded to serve over 160,000 at-risk children and over 6,500 military children and families of the fallen, wounded & deployed.Find him at The Art of Charitable Giving.